Ground cemented by ice cover the high latitudes of Mars, much as they do on Earthâs cold climates. 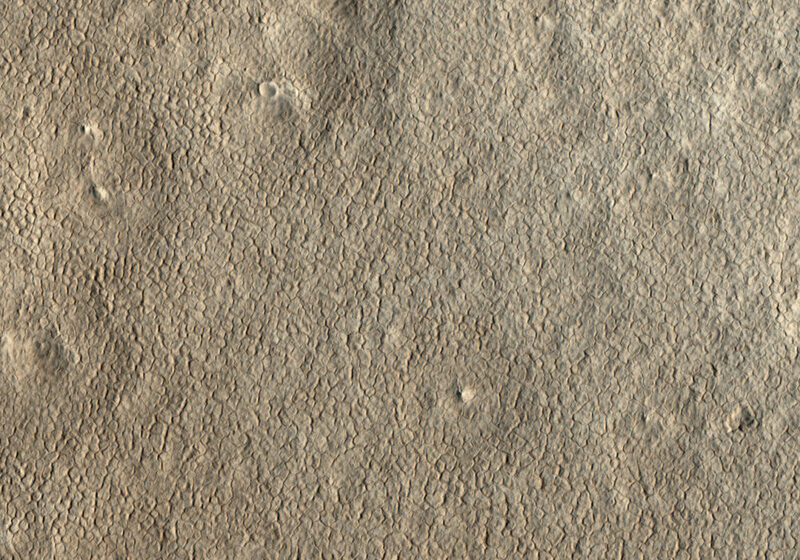 A common landform that occurs in icy terrain are polygons. Polygonal patterns form by winter cooling and contraction cracking of the frozen ground. Over time these thin cracks develop and coalesce into a honeycomb network, with a few meters spacing between neighboring cracks. 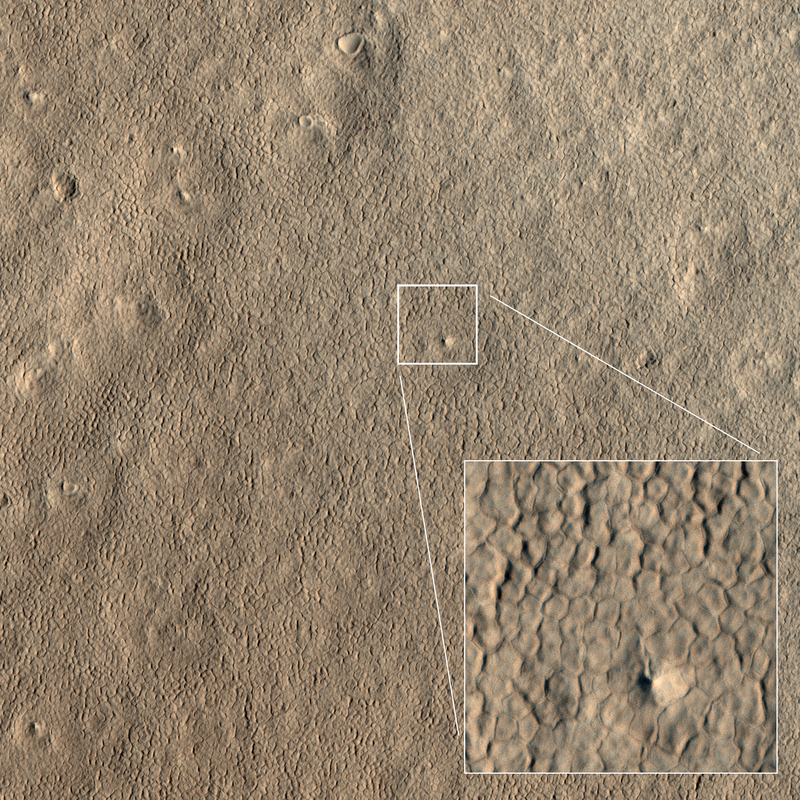 Shallow troughs mark the locations of the underground cracks, which are clearly visible form orbit .